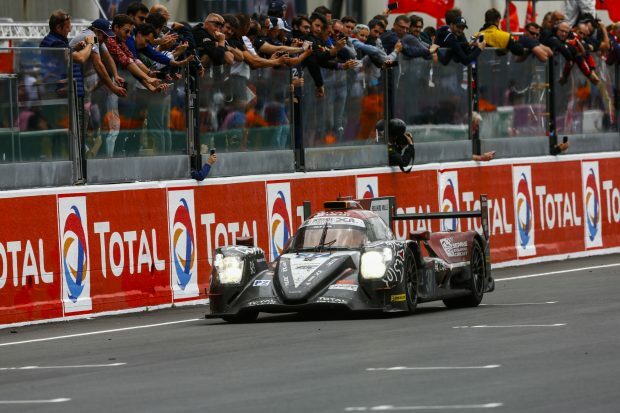 Fourth place at Le Mans – an amazing experience! Jazeman Jaafar and teammates, Weiron Tan and Nabil Jeffri, celebrated an outstanding performance in the Le Mans 24 Hours 2018 in front of 256,900 spectators. Finishing sixth in class on the road in the #37 car, tenth overall in a grid of 60 cars, and the highest placed all-rookie team it was an historic race for Malaysian motorsport. Following the race two LMP2 cars, the first and fourth placed cars, were disqualified for technical infringements, promoting the Malaysians to fourth place in class and eighth overall. The disqualified team can appeal so the results are provisional at the current time. The first ever all-Malaysian team, driving a Jackie Chan DC Racing Oreca 07 LMP2 car, completed 361 laps of the 13-kilometre circuit at the greatest and most well-known race in the world, the 86thrunning of this unique event. After the practice and qualifying sessions the trio of talented racers had driven during the day and at night, working together to improve the performance of the car and continuing to learn the circuit. After the two qualifying sessions the #37 car was 20thfastest to line up on the 10throw of the grid for the start of the race. Jazeman was proud to be selected to start the race and despite it being a race of over 350 laps he was already making up places and up to 17thby the end of the lap. However, disaster struck on only the second lap with the car springing a water leak and Jazeman had no alternative but to pit. The issue cost them dearly with the car in the garage for over 15 minutes, ending up at the back of the field and a mountain to climb. Jazeman remained in the car for just over two hours, pushing hard to make up ground. Last of the runners for the first 18 laps, finally they started to claw back positions. Weiron took over from Jazeman for his first two-hour stint, then handed on the car to Nabil for his first taste of the Le Mans 24 Hours. The three Malaysians rotated through the afternoon, through the night and on to Sunday, with Jazeman taking on his longest stint of over two and a half hours on Sunday morning. Driving for over eight of the 24 hours in five stints, it was the most demanding race of Jazeman’s career. Having the honour of taking the chequered flag at the end of the day capped an amazing race for Jazeman. Jazeman will have a well-deserved break before preparing for the third round of the World Endurance Championship, the six hours of Silverstone in the UK on August 19th.